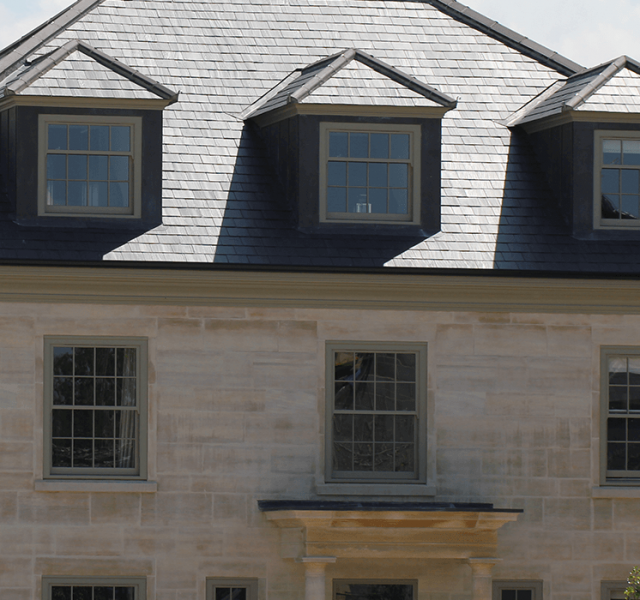 Langton Homes is a well-established family owned company who have been specialising in the development of properties throughout the Midlands for the past 30 years. One of their recent projects was four high-end luxury detached six bedroom houses featuring extensive outbuildings, each set within large private grounds. 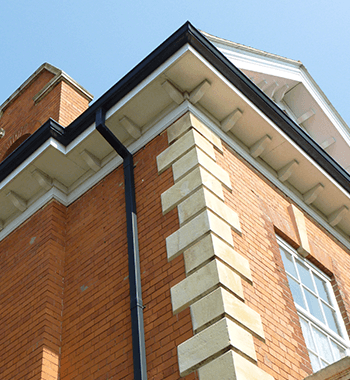 The main property on the development – Langton House, was being specifically built for the owner of Langton Homes. 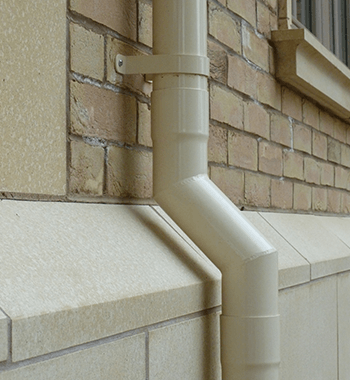 Having used Mustang® Seamless gutters on projects in the past, they had no issues with specifying it again for this development. 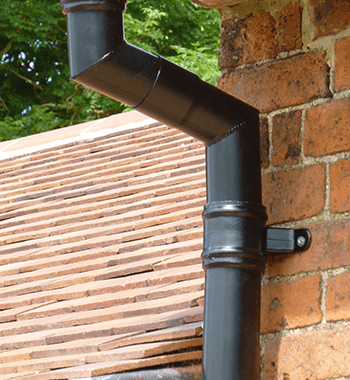 In fact, existing garages on the development which had previously been fitted with upvc as a cheaper option were now failing and leaking, so were also replaced at the same time as the rest of the development was installed with Mustang® Seamless Aluminium Gutters. 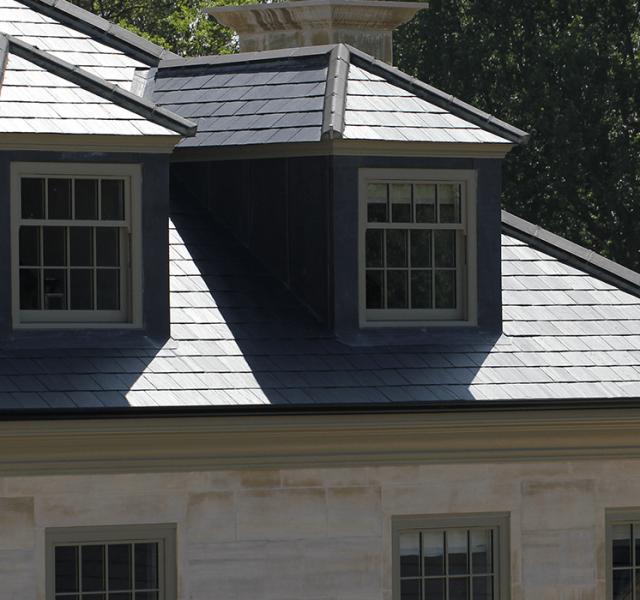 Mustang® was ideal for this build due to the sleek clean lines of the gutter, with no external brackets on view. 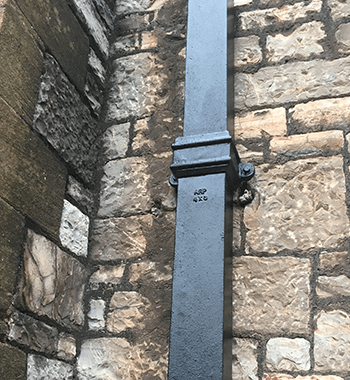 It is strong and durable, but lightweight and easy to install, with most of the preparation work being done at ground level, prior to the gutter being raised to height for the final fixing into place, meaning that it is often safer and quicker than fitting traditional guttering. As the Aluminium is roll-formed on site to the exact dimensions of the building in continuous lengths of up to 30 metres, there is no waste. 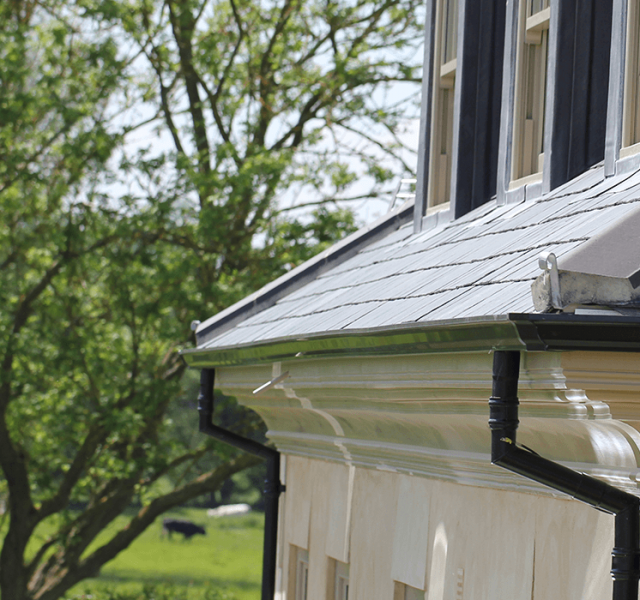 Once installed Mustang® Seamless Aluminium Guttering requires minimal maintenance and is the only quality assured seamless gutter system certified by the British Board of Agrément (BBA) to last in excess of 30 years. A certification ARP have held for 25 years. Colonnade Aluminium Rainwater pipes complete the install and were polyester powder coated (PPC) in Anthracite Grey (RAL 7016) to match the colour of the Gutter in our in-house purpose-built PPC facility. Aluminium is a natural, non-corrosive material and needs little maintenance, but is also fully recyclable. 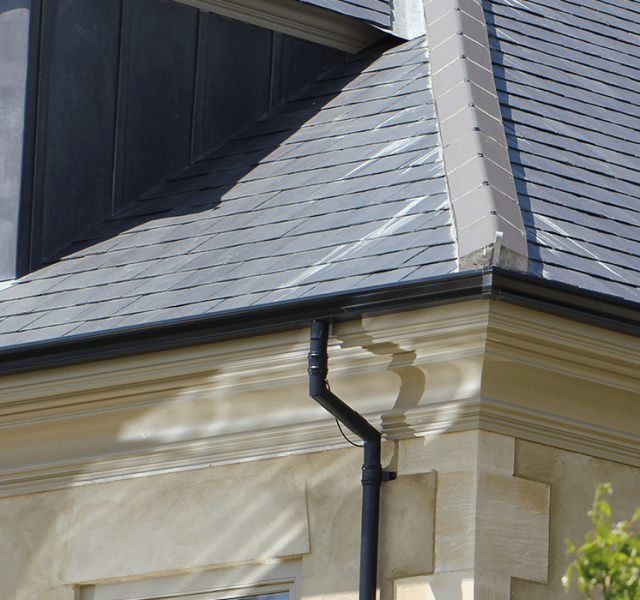 Aluminium will not crack, creek or fade resulting in a truly ‘fit and forget’ system.